Click on the Insert Line button to draw a wall. Click on each corner in turn and double-click to finish. Press the Escape key to cancel. 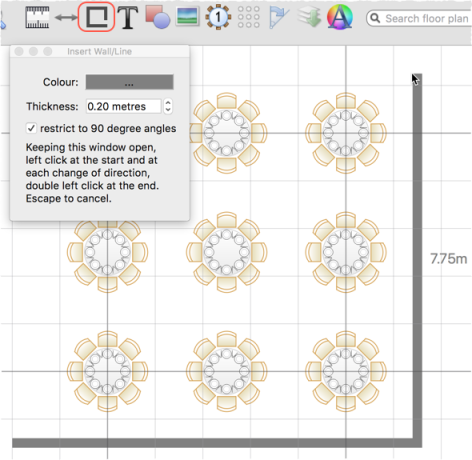 You may find it easier to place the lines with grid snap on. You may also need to zoom in.